Samsung Galaxy SII is one of the finest phone ever made by Samsung. It is this phone that won Samsung applause and cheers from the android community. Initially, it was launched with gingerbread edition of android OS. Lately, Android 4.0 Ice Cream Sandwich was officially released for galaxy s2 worldwide gradually, but ICS on Galaxy S2 was not perfect. It was laggy and buggy. I hated Samsung for this but didn’t want to downgrade to gingerbread either because being a techie, I always want to get taste of the new and the latest flavor. Like all galaxy SII owners, I’ve been waiting for Jelly Bean firmware update for Galaxy S2 officially from Samsung. Now, it is here. It is not yet live. If you connect your galaxy s2 phone on your computer, you won’t find any firmware update, but thanks to Sam mobile, they’ve leaked official Jelly Bean firmware for Samsung Galaxy SII. I’ve already flashed my phone with it, and boy do I need to say, Jelly Bean makes my s2 alive and rocking again. I feel as if my 1 year old handset is new and modern still. 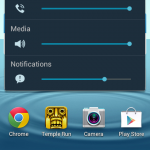 Android 4.1.2 i.e. 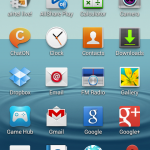 Jelly bean firmware for Samsung Galaxy S2 addresses all problems and bugs which we used to face on ICS firmware. A lot of things have improved and the UI seems flawless, butter smooth and appealing. Excited? Lets head over to flashing guide below so that you could also get your hands on Jelly Bean goodness on your Galaxy S2 smartphone. Fully charged Samsung Galaxy S2 phone (GT-I9100) – Be serious. Do not flash unless your phone has 70% + battery capacity. Backup contacts, messages, everything else. – This time, backing up is necessary unless you want to end up being a fool like me. I’ve never cared to take backups before flashing my phone and I never ran into problems after flashing because all my apps, settings, data remained safe, but not this time. Unlike other firmwares, flashing Jelly Bean firmware will cause factory reset. This firmware flashing will not wipe your stored multimedia files like captured pics, videos, etc, but will wipe your apps, settings, messages, contacts and other related data. 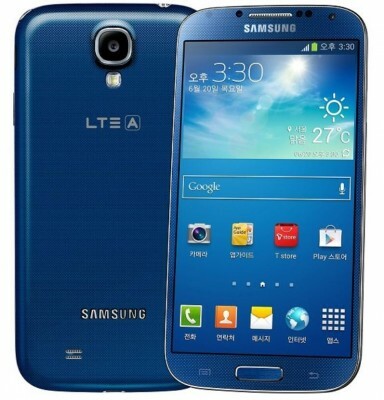 Download Android 4.1.2 Jelly Bean firmware for Samsung Galaxy S2 from here. The given link supports resume and the filesize is of about 481 MB so grab few cups of coffee while the download completes. (Courtesy – Android Advices for uploading it to Google Docs). Switch off your Galaxy S2 phone. Now press volume down + home (center physical button) + power button simultaneously to boot the phone in Download mode. Press volume up to confirm. Now insert the usb cable into phone and plug it in usb port of your computer. If samsung kies program launches, exit it (from system tray also). Extract the downloaded folder. Launch ODIN program in it. ODIN will show one box in yellow color with appropriate port number. Now click on Start button and wait patiently. This is major switch from ICS to Jelly Bean and hence would take time to update. After some time, your phone will restart. Do not unplug the phone from computer. During restart, it might take several minutes (Do not worry or panic. You’re not stuck. Your phone is not bricked.). Have patience. After successful flashing, ODIN will display status as PASS. in green colored box. Now you can safely unplug the phone. You’ll also be asked whether you want to enable Easy home screen mode. I didn’t enable this since this is meant for newbies who are not familiar with android OS. (You can change the mode later also). You’ll also get free 50GB of dropbox storage for 2 years if you sign up there from your Samsung Galaxy S2 phone. After sign up, launch dropbox app on your phone. You’ll then receive an email to claim 48 GB of additional storage. Access the link given in the email from the computer and complete any of the 4 compulsory steps given there. After you’ve completed a particular step, to see if your completed step is verified, valid and to proceed to the next step, click on the claim space link given in the email again to reach back to the original page so that you could complete the remaining required steps to get total of 50GB space for free in your dropbox account. Other useful features include shortcuts on lockscreen to directly launch a particular application when unlocking screen, blocking mode, scrollable notification buttons for quick toggling of useful functions, bigger and detailed display of notices in notification, a widget tab in the apps/menu list, new gallery view, new music player widget, very smooth and attractive UI with easy navigation, etc. Several other new features, improvements and options are there. 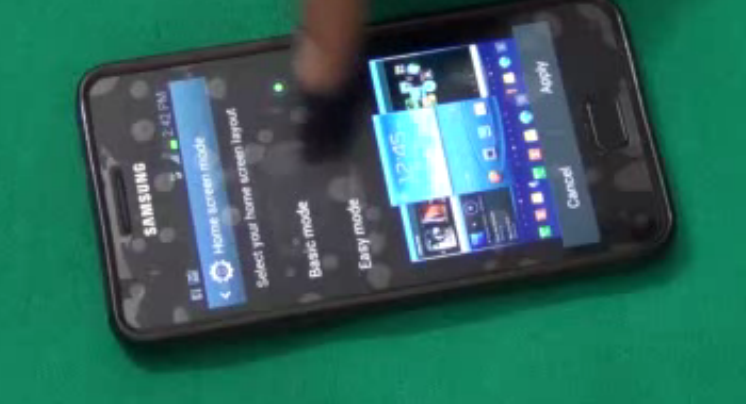 Watch Video on Jelly Bean Android Review on Samsung Galaxy S2. We hope Android 4.2 shall also make its way on galaxy s2 in near future. If you’ve any questions to ask, or facing any problem, feel free to put it in comments as we reply personally to every comments. 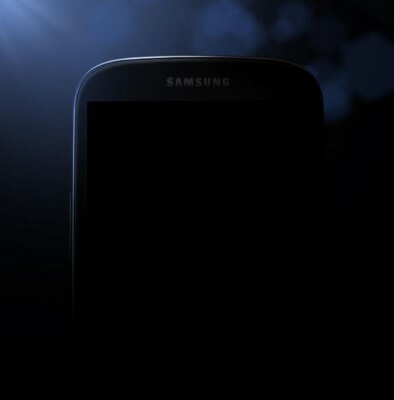 How to Watch Samsung Galaxy S4 Unpacked Event live and at what local time? Is this a must to do? No, Rooting is not required at all.. Rooting is for those users/programs who want to have root-level access to device internal system files.. So, you should rather ignore this unless you really need it or you know about it. But if you encounter any special app which require root permission and you desperately want to install that app on your phone, in such case, rooting is required..
Rooting won’t help to remove lags.. Rooting is just required by few apps.. You don’t need it unless you want it.. I don’t feel any lag on this firmware.. you should clear up RAM and kill unnecessary apps and then reboot your phone… You should not get any lag on this firmware.. Thank you Domin for your positive feedback.. It feels great when our kind readers care to put their valuable opinions/comments.. I have flashed the same on my S2. The phone is working really smooth, but I have noticed one problem – it is draining my battery like anything. Full charge is not lasting for even 4 hrs. I have already switched off Wi-Fi & GPS. Can someone help me. I’m getting 1 day of battery backup with regular use.. I think you should check the battery usage details under phone settings to find out what is using all your battery..
No.. This firmware is for GT-I9100..
may after 1-2month kies will release this official jellybean firmware…on that time can i change my s2 to that official firmware? i dowloaded jb firmware…..not installed to phone, still i,m worry about the result, b,coz i,m not a IT field professional…. 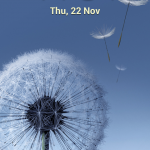 hi im updated my s2…. Glad that finally you overcame your fear.. SO, how is it working for you? Share your review..
After updating, KIES says “Your device`s current firmware version is not supported to update firmware via Kies”. Before it said “This is the latest firmware”. Just wondering if I really will be able to install an official version once it comes out. You’ll be able to flash with official version via ODIN by downloading the official release from the net.. All officially released firmware files are available on net.. Then, you’ll also be able to update via kies..
it is working very smooth..no problem at all. just like a new mobile…wow. Saurabh, please tell me on how to backup my files so that no file loss is there when I update. I am updating in an hour or so and am really grateful to you buddy. Synchronize your google account, Merge your phone contacts with Google.. You can also use sms backup apps from Google Play Store.. After flashing use the same google account to connect and it’ll restore all your personal preferences, settings, contacts.. Files are generally not erased in this update, also Your mp3, videos, images remain safe..but all apps go.. You’ll need to download yours apps again from Google Play Store.. If you want to make complete backup, including that of apps, use apps like Titanium Backup from Google Play. My Mobile was encrypted, and without decrypting, I installed Android 4.1.2, but after successful installation its asking the password on reboot and even after updating the password, its not accepting it. It goes to try again option every time. please help. I applied the JB update to my SGS2. Everything works the way it is supposed to. Log into recovery mode by turning your phone off and then pressing volume up + home button + power button simultaneously together.. Wipe cache, dalvik cache, etc. And then reboot.. If the problem still occurs, do a factory reset of the phone from the recovery mode.. I hope this solves your problem..
Hi guys i am getting big problem with my S2 GT-i9100 after updating to jelly bean 4.1.2.
because of that i am keep loosing my mobile network and if i am on call it disconnects my active phone call as well as touch screen doesn’t responses for few seconds. i’ve tried rebooting the phone, clear catch, factory reset everything but problem is still there…? Please advice me any solution if available. Did you clear dalvik cache? Also try ‘fix permissions’ from the recovery mode..
Hi Saurabh…I have Samsung S2 and downloaded software via KIES . The previous software was Ginger Bread and now I have Ice Cream on the phone, but at times wen I use the internet it freezes. So I need your guidance how to download, Jelly Bean 4.1.2 on my phone…??? Greetings from United Kingdom. Everything has been explained in the article above.. First download jellybean firmware package from the link given in the article in step 1 and then follow the instructions as mentioned above.. If you’re confused with any particular step, you can ask here.. If you’ve never flashed your phone before, you may want to wait for the official update which will be pushed via Kies in January soon.. Thanks for info. Updated my GT-I9100 from ICS. So far (few hours) seems to be OK. The only thing is I quite often get message “com.google.process.gapps has stopped”. Any idea what it is about and how to fix? clear/wipe cache from recovery mode..
hi sourabh….i have small problem with my g s2 that is late response on lockscreen…when unlocking phone…what to do.. Sometimes, even I feel slightly lag on screen. In such case, just hit power button to turn off screen and press it again and then unlock screen.. it works this way.. Not everytime, but sometime.. I have been doing that too or even just touch the menu or back button beside the home button. I am not yet sure what is causing this but I have an idea maybe the Battery Level. .If it is 30% or less. .Just an idea though. . Thank u saurabh for the clear instructions….now i am running JB on my s2…after that when connecting Kies…it shows a message like “the firmware on the device is not supported for update through kies”….Does it means when the official update comes through kies, i will not be able to do it? How to get the official update then? Well, When the official update comes out, we’ll post the firmware links on our website, so that you’ll be able to update to the official jelly bean version also. So, subscribe to our blog or connect with us on FB, Twitter or Google Plus to keep yourself informed. Hey thanks for the great how to. I’m trying to upgrade directly from Gingerbread to JellyBean via your method but it is stalling…will this work from GingerBread to JellyBean?? I hope it should work.. I’ve not tried this way..
1. Can I update my phone using this Jelly Bean XXLSJ even my phone has a Baseband Version of I9100DXLP7? I learned that in rooting SG S2 baseband version should be the same with the firmware version to avoid brick? I encountered this when I rooted phone. So does this also apply in this situation? 2. So next question is can I update using this Firmware even my phone is rooted? 3. Will the files in the External Memory Card be erased? Thanks. .
1. Yes, you can.. After flashing with XXLSJ, your baseband version will also change.. So rooting will not be a problem.. make sure you follow our guide on rooting using the package that we mentioned in rooting tutorial..
3. The files in external memory card will not be erased, but your installed apps, preferences, settings, contacts, etc will be erased.. Thanks. .Ill try it now. .
Hello. .Just FInished Updating. .Looks like a Success for now Hopefully for good. .But 1 thing scared me Saurabh. .When in the updating mode the Supposed PASS box showed a RESET. .I dont know what to do. .I am also watching another guide which is very similar to yours and the last Message says Removed. .same on the video im watching so I removed the phone from the usb. .then it showed Pass and everything continued to normal. .Should I worry bcoz of dat my friend? If everything works fine.. You don’t need to worry.. After Reset, PASS is displayed.. One should not unplug unless the phone reboots and PASS message is displayed.. Anyways, if everything is working fine, its ok..
Ill just root later after Samsung Releases the Official Version what do u think? Im not an expert at this so ill not trouble myself in unrooting my device again when that comes up. . If you don’t need root access, stay away from root then.. Your choice. Looks like Im experiencing a problem but im not yet sure bcoz I have been using this for only about 8 hrs I guess. .but my wifi connection seems to be unstable? unlike when I am at the ICS 4.0.3. .any thoughts? suggestions? Well, this usually doesn’t happen.. I’ve been using sII with this firmware mainly on WiFi and I don’t face such issues. About what happened to me I felt the need to removed it because the phone has already restarted and it showed not recognized. . I think I have sort out the solution for the wifi problem. Because of my app that changes the power saving settings it turn ons the mobile data and turn offs the wifi data. Thanks Saurabh Can u please teach me how to use the S-Voice Feature? or Do you have any video/review that I can watch? Thanks. .You are really a big help to me. .
One major reason why I upgraded from ICS 4.0.3 to JB 4.1.2 is the problem most SG S2 users is experiencing; When they turn on the wifi it only half-opens den shuts down the phone. .I experienced the 2x or 3x in my 3 weeks use of my phone so that really bothered me. .Hopefully, I have solved that by upgrading. s voice is not there.. Vlingo voice talk is there which is dubbed as s voice in galaxy s2.. Just double press home button and it’ll launch.. You can see commands listed in it.. Google Voice itself supports many of voice commands and recognizes accent pretty accurately.. There is definitely 1 con that I observed with this JB 4.1.2 compared to the ICS 4.0.3. When I am downloading something in the Play Store and my Wifi Connection is cut or stopped, the downloading process does not automatically resume. I need to restart all over again unlike in my ICS 4.0.3 that it continues automatically. Is somebody experiencing the same problem? Saurabh, Can I re-flash the JB 4.1.2 while running on JB 4.1.2? If Yes, How? If No, what will I do to be able to re-flash it? You can reflash it.. Don’t forget to factory reset and wipe cache after reflashing..
Thankful for your Expert and Wise answer and advices. Wiping cache doesn’t delete apps, but factory reset does.. I can just re-flash it? meaning just do again the process in the steps you provided? and After it Clear Cache and Reset. .Can I reset to fctory settings while in the recovery mode? Thank You. .
What does wiping the cache do? It’s starting to really bother and frustrate me, wifi connection became unstable (I need to switch it off/on everytime I lose connection just to get it back and in a few minutes it gets disconnected again) and 1 more thing unfortunately…stopped…memo also appearing frequently. What should I do? Ill to reflash it if problem persists. And if the problem is still there, Can I go back to Gingerbread 2.3.4? If Yes, How? yes, you can go to gingerbread, just flash your phone with old firmware.. When you want to go back to gingerbread, just contact me and I’ll mail your gingerbread firmware link, and don’t forget to mention your country name so that I could get your gingerbread/ICS firmware of your country. Thanks you are really a very good guy. You are sharing your gifts and one of it is your knowledge. Ill go back to Gingerbread though old firmware yet I think the most stable ang less bug. Im from the Philippines. Can you also add to it a link on how to root 2.3.4 Gingerbread. You are very helpful. Thanks. After I flash the Gingerbread. Will I wipe cache and restore factory settings after flashing it? Ill put it in PDA? Same procedure as JB 4.1.2? One more thing how to unroot JB 4.1.2? Thanks. . Thanks Saurabh. .Ill do it now. .Hope everything will be perfect. .
the computer says device not recognized thats why I panicked a bit and removed it, . Why when I launched ODIN, there should be one box in yellow color with appropriate port number ..but there is nothing appear there.. When I connect usb to pc 4 for usb tethering, pc not detect any connection. This seems to be your problem.. I’ve been using WiFi thethering, usb thethering without any problem on my galaxy s2.. Check your wifi thethering settings, password and other details.. Make sure it matches the configuration on your pc. Hey Saurabh! Thank you so very much for your how to guide on flashing the new JB 4.1.2 os. I’m from Jamaica and I was running the official ICS 4.0.4 os update for my region before flashing 2 nights ago. So far, so good. I love the new interface, widgets and silky smooth performance and layout. However, it seems as if its a bit hard on the battery but I’ll keep monitoring that. Quick question though, i noticed that the dealer (Digicel Jamaica) from which i procured my handset was always displayed on my phone when booting up and powering off with the gingerbread 2.3.6 os (which came with the phone) and also with the ICS 4.0.4 os. Now after flashing, I get the “samsung logo” on boot up and shut down (which is fine by the way) but might void my warrantee. So, if I choose to flash back the original ICS 4.0.4 release for my region (Latin America-Caribbean) do you think I will get back my carrier name (“Digicel”) on device screen at boot up and shut down?? I’d really appreciate your reply. Thank you in advance. If the Firmware you’re planning to flash is same as you had earlier, you might get carrier name back.. Thanks again for the info. So if I choose to flash back the ics 4.0.4 os do I follow the same procedure or would I have to undertake a completely different method?? my phone updated to the new firmware few days ago and i accidentally deleted the plus button on the home screen thingy… now i have backed up everything i had, did the factory reset thing and no change .. so i looked this up and now i am trying it out.. after an hour since i pushed the start button nothing is happening.. so i as you this… is it possible for me to do this after my phone had upgrated by itself? Gtalk, skype,&nimbizz are not signing in and face book videos not working ever .I dont know what happened. Everything works… Is internet working correctly on your phone? You should check access point names setting in mobile networks under phone settings.. I Installed JB & Rooted the device as well, I feel the scroll speed is very poor after the update. Is there something that can be done? I hv base band xxls6, can I use this rom on top of that? i’ve updated my s2 to 4.1.2 how im having an issue with not being able to connect to wi-fi. my phone won’t pick up my network even though its right in the next room and if i try to manual in put the settings it won’ connect any help please. Only internet workig correctly.gtalk, skype are not sighning in…..
I’ve had issues with mine ever since Kies said I had to upgrade to 4.0.4. and I did. Everything worked fine on the original gingerbread but on that upgrade, everything is laggy and choppy, even regular scrolling but mostly problematic in games or video. After a scan with an app I also detected the Brickbug on my hardware, so I couldn’t factory reset. I handed it in under guarantee and I got it back stating they replaced the ‘module’ and updated the firmware, but the problem was with my ‘backup’, which I didn’t make. Restarted, had to insert all my info again, phone was blank of apps etc., but the problem still persists, when I look it’s also still on 4.0.4.; Do you reckon this upgrade might change the choppy/laggy bits? I have 2 issues with the Jellybean Update for Samsung S2. 1. MiniDiary no longer has the ability to publish to Facebook. 2. When Tethering/Portable wifi hotspot I randomly get a message saying turning on wifi will disconnect portable wifi. Hello.I’m using Android 4.1.2 but it doesn’t work as good as you say.It’s smooth but sometimes phone restarts by itself. Also I can’t play games as overkill and basketball touch because touch sensor became inaccurate.Why does all these happen? Will this work on Galaxy S2 (GT-I9100G)? friend can you pleace give me some link of jelly bean that compatible to my gt-i9100 here in philippines..thx.. If i flash this JB via ODIN, and then again flash ICS, will my kies detect my phone ? Yes! Kies will, well should rather, detect your device. I am replying because I flashed the JB via odin then after a few weeks i flashed back the official ics os that was pushed for my carrier and kies detected my handset. Hi. I flashed my S2 yesterday with Android 4.1.2 XWLSJ version and there was no wipe. Can anybody tell me why? No, this won’t work for your phone.. Official JB update is not yet rolled out for you as far as I know, but you can try third-party custom JB ROM, although we can’t comment much on stability of those ROMs..
Hi, just update to the latest jelly bean but cannot connect kiers to restore my messages, logs etc. Keirs says my device is not supported with kiers 2.0. What can i do as i want to restore my backup etc and also is there any other software i can use my backup files from keirs to restore on my galaxy S2? You need to Change CSC of your device to your country to be able to connect to KIES.. Try CSC Change app from Google Play Store.. Thanks, i tried it but it said preconfig not found on my device..manual mode and then it went to my keypad and nothing happened. Is there anything else i can do to restore my backup or to make kiers work pls?? I just upgraded my new Samsung Galaxy s2i9100 with I9100XWLSH_I9100XSALSA_I9100XXLS9_HOME.tar, after that it not showing Shut DOwn menu, when i press and hold power button, directly going to turn Off. Have any solution ? I’m having the same problem with the power button!! Did you find a solution?? my friend!! Have been using ICS so far and upgraded to official Jellybean update. My S2 lags like crazy and the battery drain is also very high. 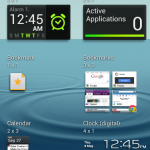 Also the look of the screen is similar to the old Gingerbread and not the simplicity in ICS. Keypad looks real old as the old nokis symbian belle. And the transition effects also looks old. Even if I clear my ram by clicking clear memory it comes only upto 680 mb. . . In my frnds s2 it goes to 350mb which he bought from middle east (both phones on jb). 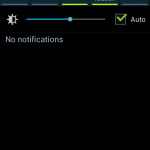 In ma phone sme stuff called System UI always run taking sme 30 mb bt this is nt there in ma frnds phone. . . Please help me frnd. . .
Ive got a samsung S2 which was brand new and had Ice cream sandwich firmware when i bought it in January this year. My friend updated it to the Jellybean official leaked version sometime in february. Since then it was giving me an “unknown error by error callback” everytime i launched the camera. I took it back for warranty and they asked why and how and i had updated to the Jellybean version. They said thats the reason my phone is giving me problems with the camera. So i asked another of my computer geek friends and he said he would root it so he did and now its on cm9 and the camera is worse and the touchscreen response is very slow. The front camera never gave me any problems but thhe back 1 has. Do you think it could be a hardware issue instead and do you think reversing the whole process and restoring back to ice-cream sandwich would make it better or i have to replace the camera.. Please help. Have you ever tried factory reset? Hai…at present my os is gingerbread 2.3.5 ….. Is there any problem in directly upgrading to jb 4.1.2…please reply…..
does it work on samsung galaxy SHWM250k?